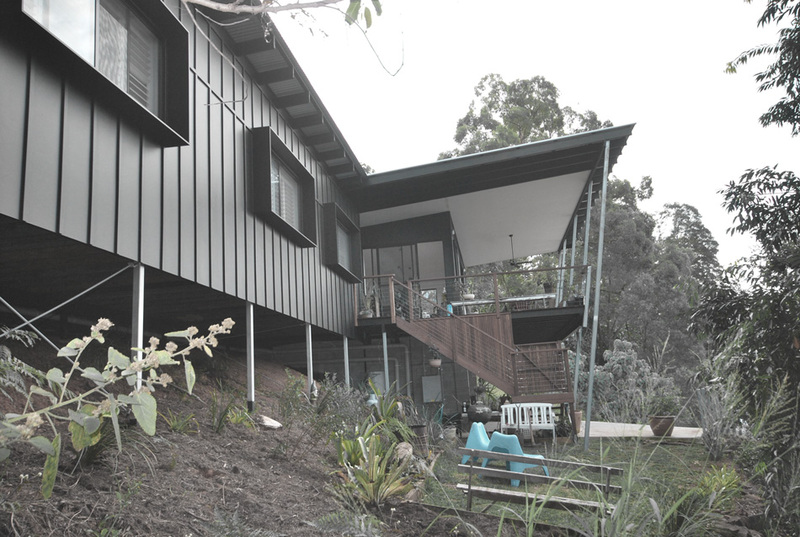 A new home design with the best client brief I’ve had to date “funky on a budget” with views of both Mt Coolum, Old Woman Island and the Pacific coastline the house is orientated to make the most of the view but also with the position of the sun and also summer predominant Sunshine Coast breezes in mind. The block of land is slightly steep and for this reason the plan has been stepped in parts to accommodate the natural slope of the land to reduce the amount of retaining required, both as a coast saving strategy and also the clients request to alter the block as little as required. 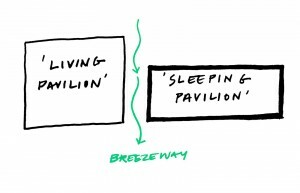 The house has also been segmented via a breezeway into two separate zones one ‘served’ and one ‘servant’ so to speak were formed the ‘living pavilion’ and the ‘sleeping pavilion’ in a gesture of demarcating what is private and what is public realm – a concept which is somewhat borrowed from the philosophy of Estonian/American architect Louis Kahn. 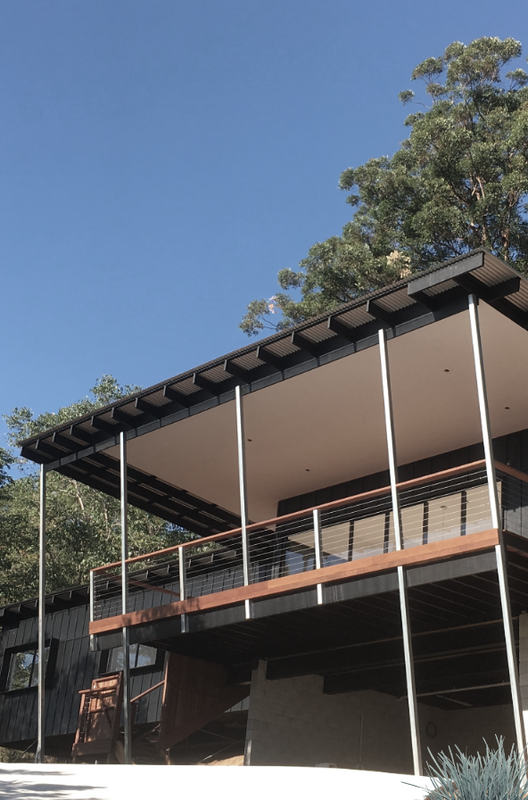 The house avoids the use of air conditioning systems instead employing a simple strategy of ceiling fans, natural ventilation and solar orientation to control the temperature -the prevailing cool ocean breezes are channelled into the core of the home via the two breezeways. The mild winters of the sunshine coast require the breezeways to be closed off slightly and a future potbelly stove is earmarked in the living area. This house has just finished construction, waiting on photography, so for now its iPhone snaps. TO BE CONTINUED. “Architecture has its own realm. I has a special physical relationship with life. 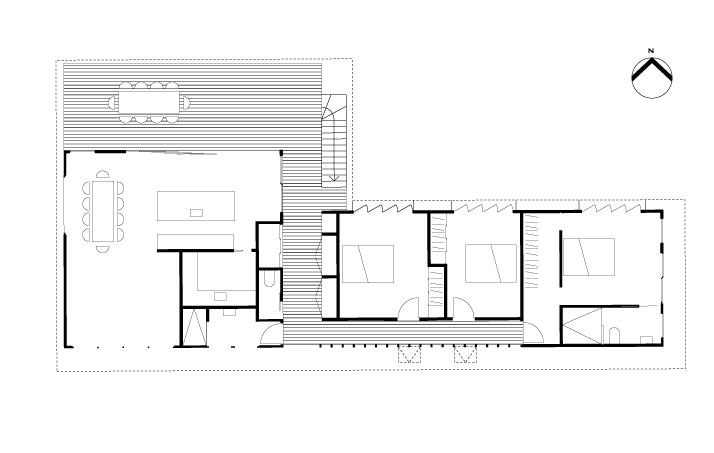 [a house is] a sensitive container for the rhythm of footsteps on the floor, for the concentration of work, for the silence of sleep” (Zumthor, P.1988).